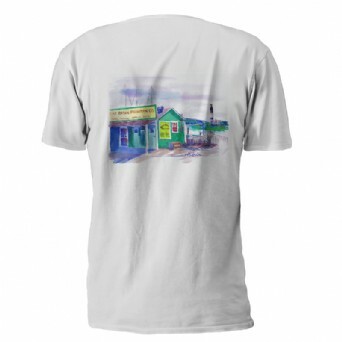 A beautiful rendition of the Provision Company restaurant done by Southport's local watercolor artist Jim McIntosh. White tee shirt Watercolor Painting on back and small navy ship on front left chest. 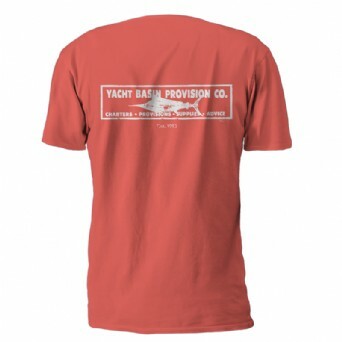 One of Provisions popular logos. 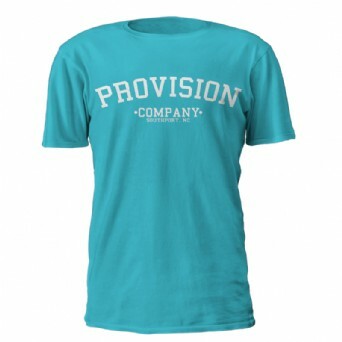 Provisions arched across the chest in white ink in your choice of preshrunk 100% cotton in flo blue, denim, seafoam and watermelon. 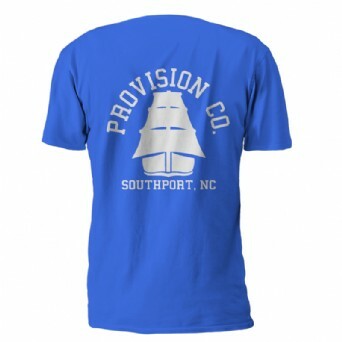 Find the perfect souvenir from Southport, NC. Provision Wears are now offering our souvenirs online. Forgot to pickup a t-shirt while you where here? No problem we will ship it to you.